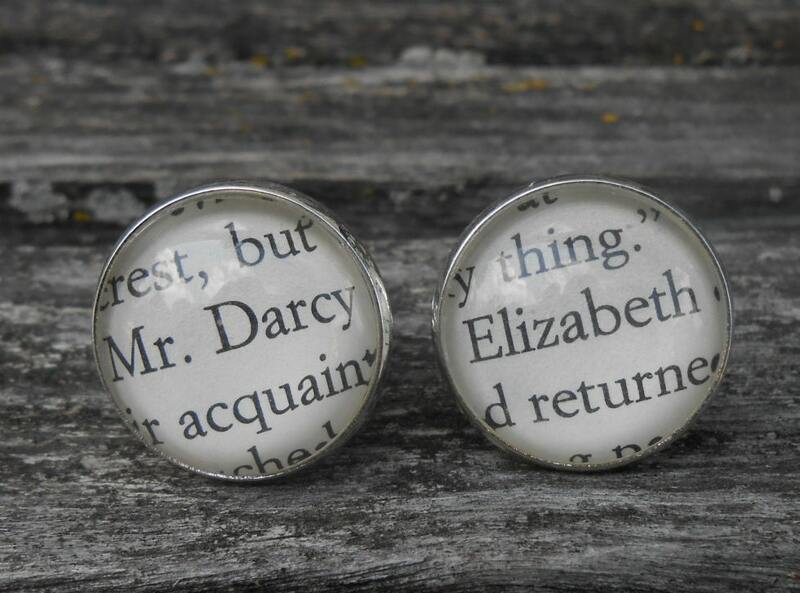 Mr. Darcy & Elizabeth BOOK Cufflinks. 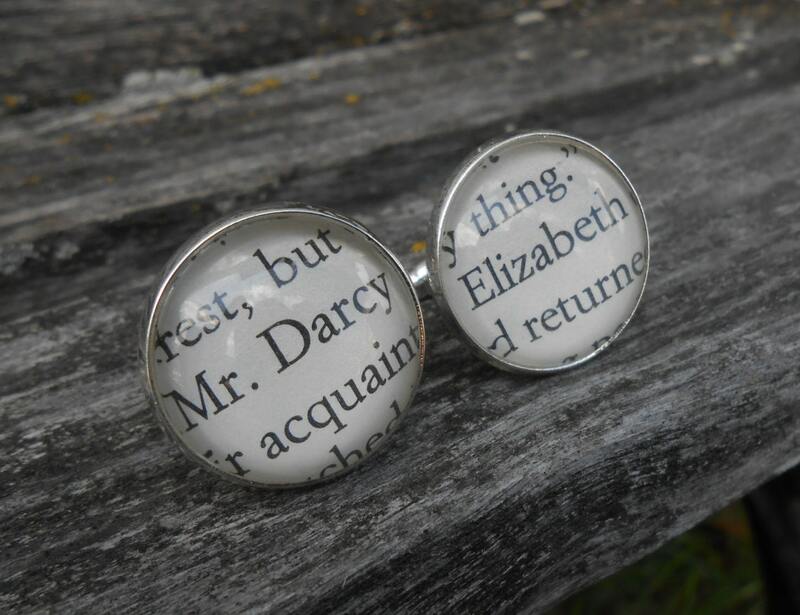 Jane Austen Pride And Prejudice Wedding, Men's Christmas Gift, Dad. Silver Plated. 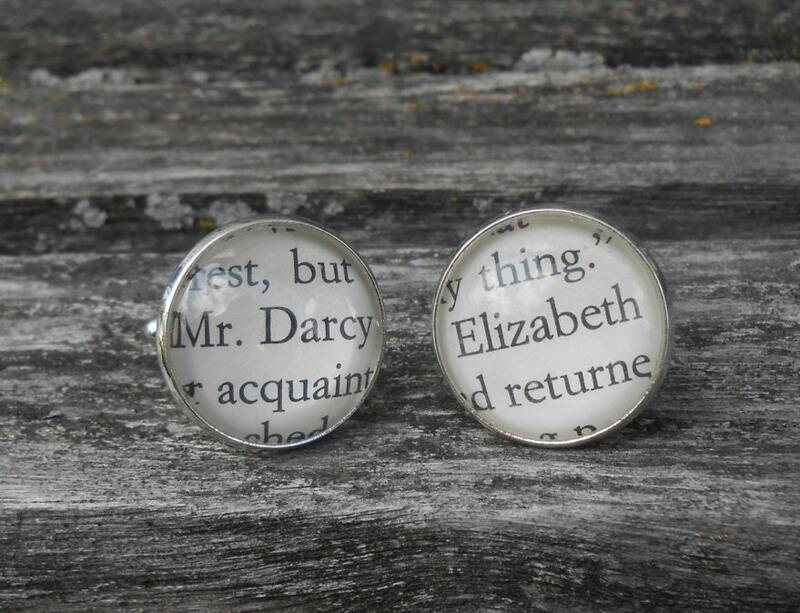 These cufflinks are perfect for anyone who loves Jane Austen! 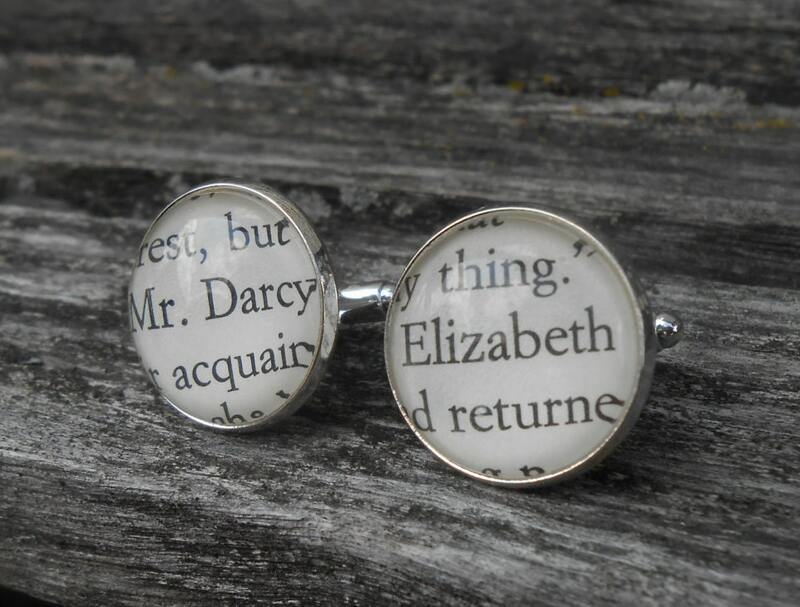 Made from pages of the book Pride & Prejudice, these cufflinks feature the names of one of the most wonderful couples in literary history....Mr. Darcy & Elizabeth. These would be a great gift for any time of the year! 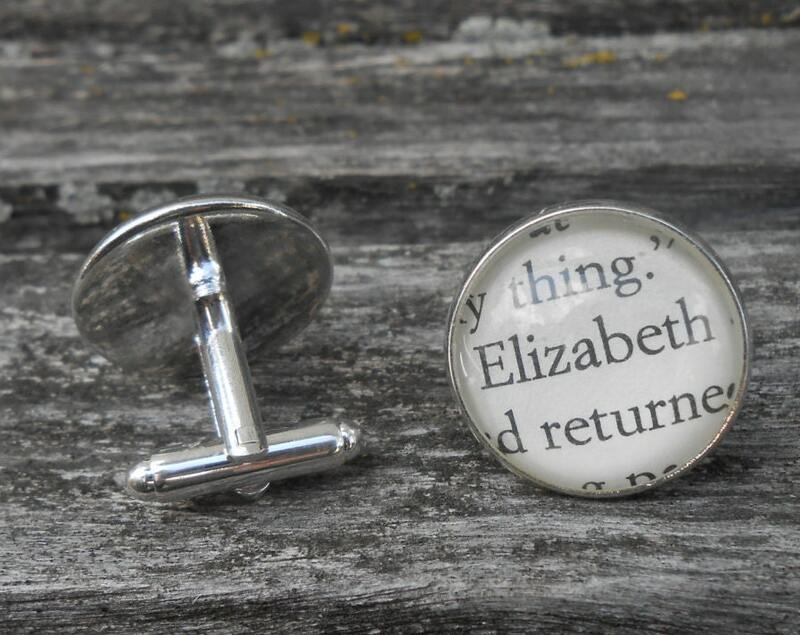 Perfect for a wedding, an anniversary, for a Christmas gift, for Father's Day, or a birthday. This listing is for one pair. They measure 20mm and you can choose from multiple colors at checkout. 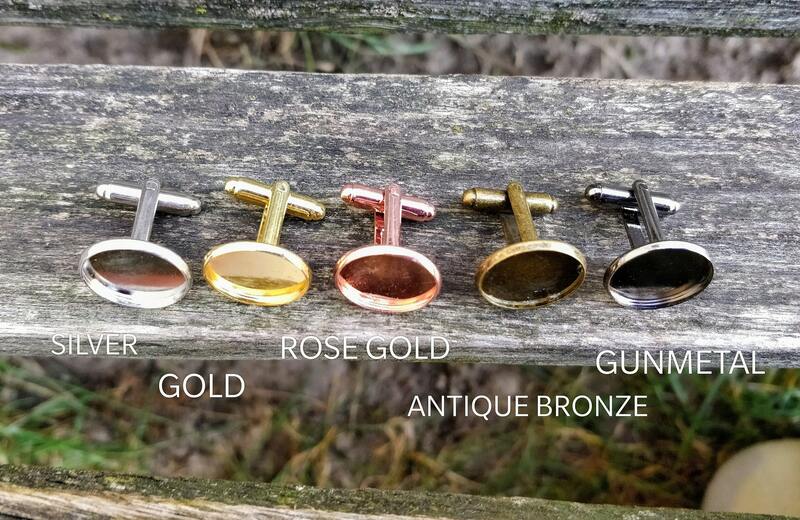 Cufflinks may vary slightly from photo, as I have to find a new spot in the book for each pair.